/ Modified may 5, 2014 4:25 p.m.
Tucson Amateur Astronomy Association is celebrating 60 years in the community; they are connected to all things astronomy. 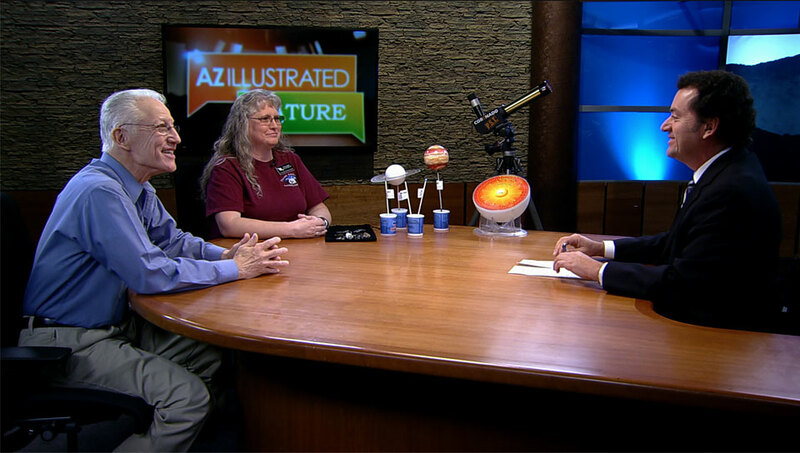 From supporting dark skies to working with children, teachers and professionals, the Tucson Amateur Astronomy Association is intricately connected to all things astronomy in our community. President Bob Gilroy decided to get involved with the association when he retired from his job but wanted to remain active. "I like to learn about the solar system and then what's out there beyond that because it is fantastic," Gilroy said. "And the life of stars, did you know that everything and everyone came from stars? We are star people," he added with a smile. Gilroy was joined by the group's outreach coordinator, Terri Lappin, who joined the association while still in high school in the 1970s. "It's something that I really enjoying doing," she said. "We've got about 300 members right now. Our meetings are the first Friday of the month at Steward Observatory and you're welcome to come, it's open to the public," she said. TAAA is scheduling two different events this month. An Astronomy Day celebration is being planned on Saturday, May 10 from 3 to 9 p.m. at Brandi Fenton Memorial Park. Tucson Amateur Astronomers Host Free Star Party Scientists: Darkness Harder to Find Due to Overpopulation Finding Common Ground with "One Small Step"